Transformers Devastation feels like riding a high-octane roller coaster. The drops, loops and speed cause adrenaline to pump through your veins. When the ride ends, you sit there satisfied but wish it was just that little bit long. You can ride the coaster again, but it never feels like that first experience. This is how I felt when Transformers Devastation had concluded. The content here never skips a beat but when the credits roll, I still had a hunger for more. Transformers and Platinum Games are a match made in heaven. Platinum Games have infused their over the top action with the lore of Transformers. Autobots, Decepticons and Dinobots all make appearances throughout the story. The combat will be familiar to anyone who has dabbled into Platinum Games before. You’ll use combos, counters and speed to destroy your foes and it all feels as smooth as polished bodywork. The game runs at a consistent 60fps and even with all the chaos on screen, this never slipped once. I am not the biggest fan of action fighters, but Transformers Devastation sunk it metal claws into me. This is in part because of how incredibly well the whole game plays. The pace is fast and each encounter feels like a clash of titans. The music accompanying these battles are heavy metal tracks which makes the chaos unfolding on screen even more satisfying. Transforming from a vehicle to a robot is instantaneous and effective. Hit top speed, fly at the opponent, transform in midair and lead into a combo; moments like this happen all the time. As you encounter different enemies, you’ll have to mix up your methods too. Constructorcons require you to perfectly dodge their attack which induces a bullet time moment, giving you a chance to take them down. Flying Decepticons need to be taken down from the skies with ranged weapons. Each character has a special ability too which will inflict huge amounts of damage and look awesome. Sometimes the camera angle can become a nuisance and with no targeting mechanic, you’ll find yourself unable to defend from some attacks. Overall the battles are really responsive and fun which is good because you’ll be doing a lot of it. There is a variation of gameplay with car chases, but these don’t work so well, the shear speed that the Autobots possess makes controlling them unbelievably hard. The game throws you into New York City which is where the majority of the action will take place. You’ll begin as the legendary Optimus Prime and characters will unlock as you progress. Bumblebee, Sideswipe or even Grimlock will be playable at any time. In true Decepticon fashion, they are attempting to destroy the earth for their own benefit. During the 6 or so hour campaign, you never really leave the small area on Manhattan. The last couple of missions take you away from Earth but on the whole, you are confined to this claustrophobic space. This would not be too much of an issue, but the area is not that interesting. You have a few variations on scenery and the weather and time will change but, in general, the locales look dull. The world looks uninhabited too. The Autobots frequently say they are trying to save humanity, but you don’t see a human ever and the city looks so destroyed, I don’t think anyone will be moving in anytime soon. Platinum Games have really captured the essence of Transformers. The graphics, the characters, and the dialogue all play out like you are watching the classic 80’s cartoon. Although the surroundings can look plain, the animations and Transformers do not. The transformations look tremendous and the bosses even better. There is a great sense of scale here and you can be dwarfed by some of the villains. When the Menasor constructs in front of you, it looks mesmerizing. Whilst in combat, you’ll actually see it deconstruct in real time. The voice acting fits perfectly within this universe and Optimus Prime and Megatron lead the way with their great delivery. The cut-scenes seamlessly blend into the gameplay and is beautifully animated. In the latter half of the game, the cartoon idea is embraced and an Autobot/Decepticon logo bridges scenes during the storytelling just like the real cartoon series. I’m not sure why this was not implemented throughout, but I genuinely felt as though I was not only watching the show but a part of it. As I mentioned earlier, the story is painfully short. I completed the campaign in 8 hours and I was actively searching for collectibles and side missions. 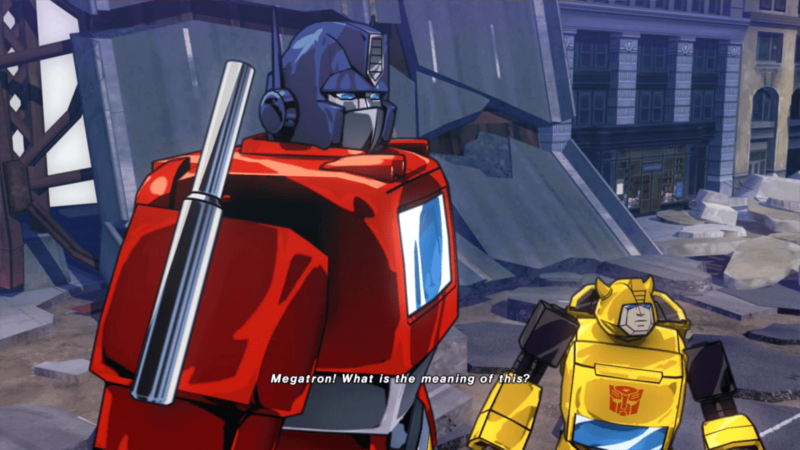 Transformers Devastation is a game for the perfectionists who like to challenge themselves. 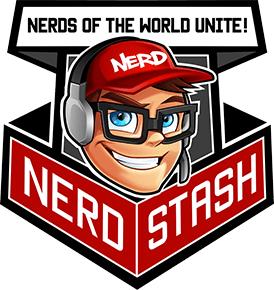 Once the story is completed, you can replay any level, under any difficulty with any character. Each fight will grant you with a score and you’ll also be graded on the level as a whole. To fully complete this game, you’ll need to finish every stage with an SS ranking on all difficulties and this is no walk in Central Park. You also have challenge mode which involves you fighting against groups of bad guys and rankings are available for these too. 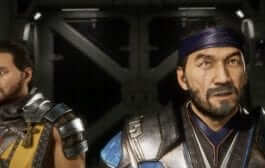 There is a nice thread connecting all of these modes together as you will be earning credits and leveling up your characters. You’ll have stats such as strength and speed which can be bought or will actively improve as you perform on the main stage. You also have a loot system not too dissimilar from what you will find in Destiny. You collect common, uncommon and rare holograms and at the end of the stage, these will contain weapons. You can equip these or infuse them to improve others. Some even have their own unique attributes which will be incorporated into the new firearms. This system is great, but I wish that instead of improving the base weapon, you actually created new hybrids; instead you are simply boosting stats. As you play the game, it becomes easier due to these RPG upgrades. You can complete the game on the easiest difficulty, strengthen your Autobots and then replay the story on a higher difficulty. This is the premise however it is up to you whether you execute it. 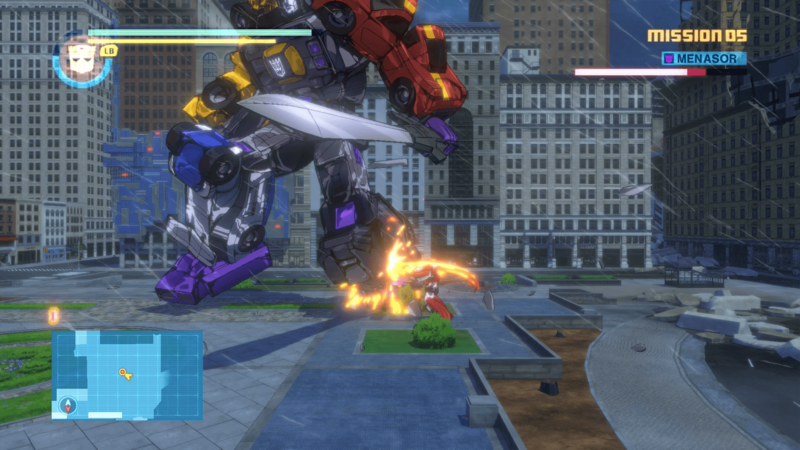 Transformers Devastation is a beautifully polished game. 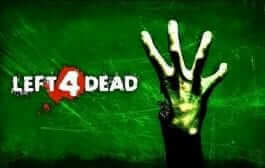 I struggle to think of any other game that plays as well as this one. I never witnessed any glitches, bugs or frame rate drops. The combat is the core element here and it is well executed. The bosses are huge and intimidating, the playable characters are varied and if you take the time to see everything this game has to offer, you’ll be invested for a long time. 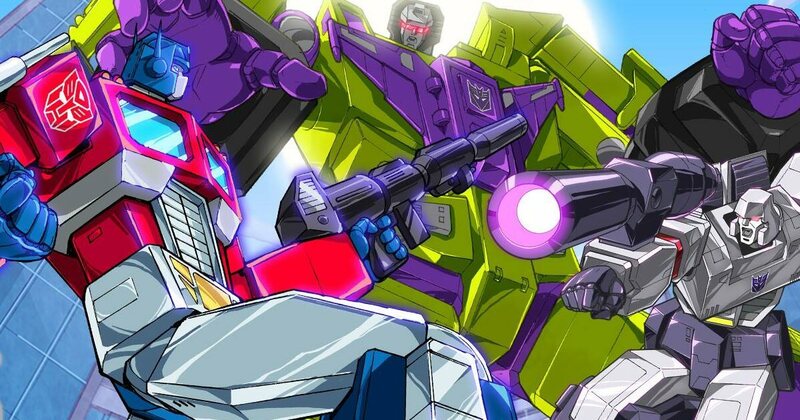 Transformers is cheaper than a standard full price title but if you simply want to see the story once, Transformers Devastation may leave you disappointed. Transformers: Devastation is an action hack and slash video game based on the Transformers franchise developed by Platinum Games and published by Activision. 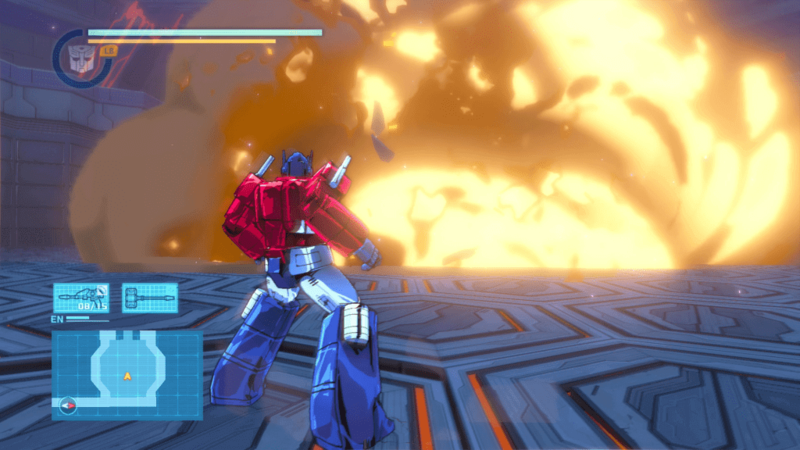 Transformers Devastation is an adrenaline fulled, over the top experience. With strong, fluid combat and a wonderful embrace of Tranformers lore, there is plenty of fun to be had.